Agilx is proud to announce the release of a new social giving application for our client TAGG fundraising. 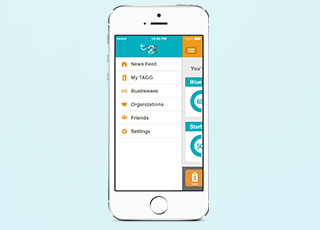 TAGG came to Agilx to develop a mobile application for iOS and Android that allows users to donate a percentage of their purchase to an organization they support. The application allows an individual to scan a QR code at a participating business and select the organization to donate to. The individual then receives rewards for their donation and can even share their good deed on Facebook and Twitter. “TAGG came to us early this summer with a clear vision of what they wanted built, their company mission to use technology to benefit a great good made a perfect fit for both companies” said Jake McElroy COO of Agilx. The TAGG mobile application will be available for download next week in the App Store and Google Play. If you are an organization looking to raise money or you have a business and want to participate in the TAGG program you can contact TAGG at hello@togetheragreatergood.com.